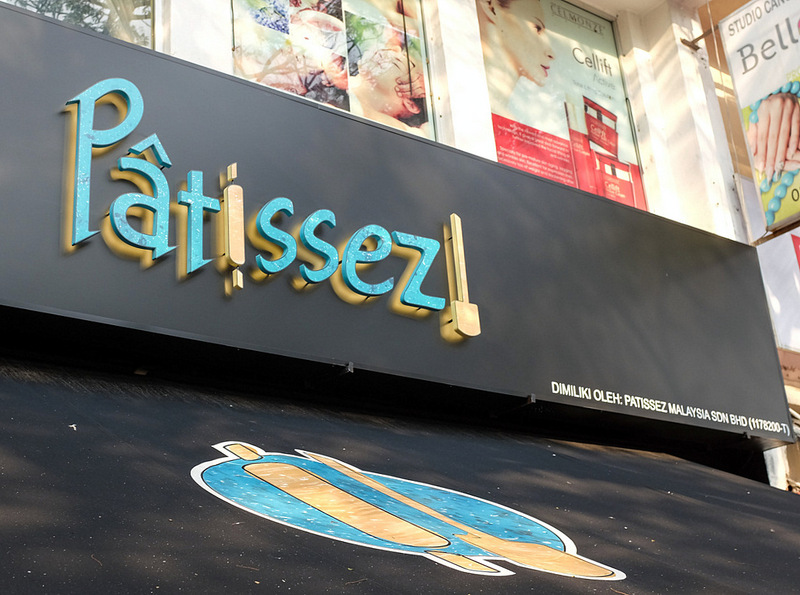 Patissez Malaysia rolls into Bangsar this week, becoming the Australian bakery-cafe's first franchise branch outside Canberra, outpacing a Patissez Singapore that's poised to launch imminently. 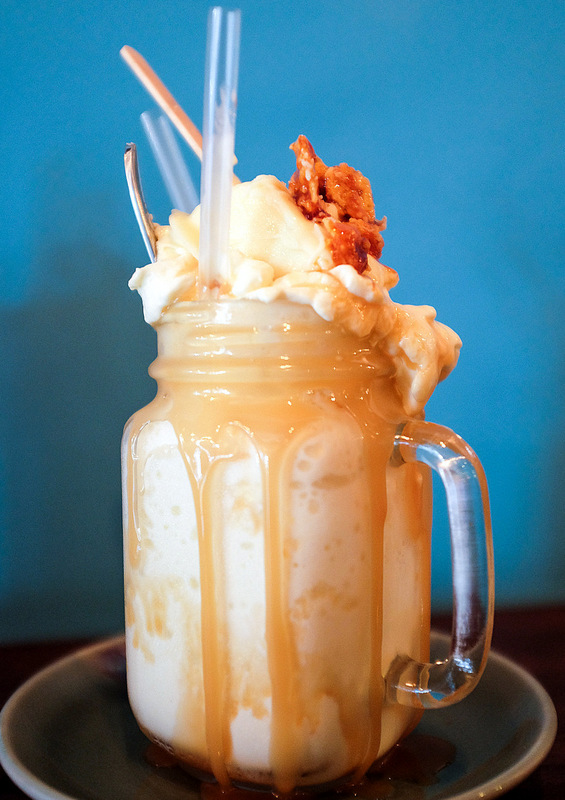 The name may sound familiar: Patissez Down Under surged to fame nearly one year ago as the progenitors of the epic Freakshakes phenomenon - monster-sized milkshakes heaped high with out-of-control toppings - that sparked a slew of sincerest-form-of-flattery reconstructions across the globe. 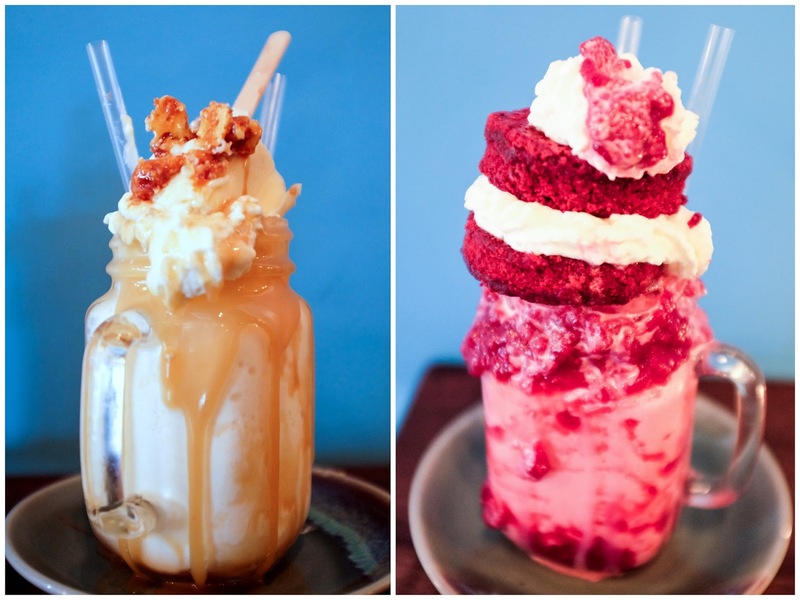 So here's what to know about Telawi's outpost: You'll find four types of Freakshakes here (versus five in Canberra), each priced at RM23+ (cheaper, conversion-wise, than the AUD13.90 in the birthplace of these shakes). 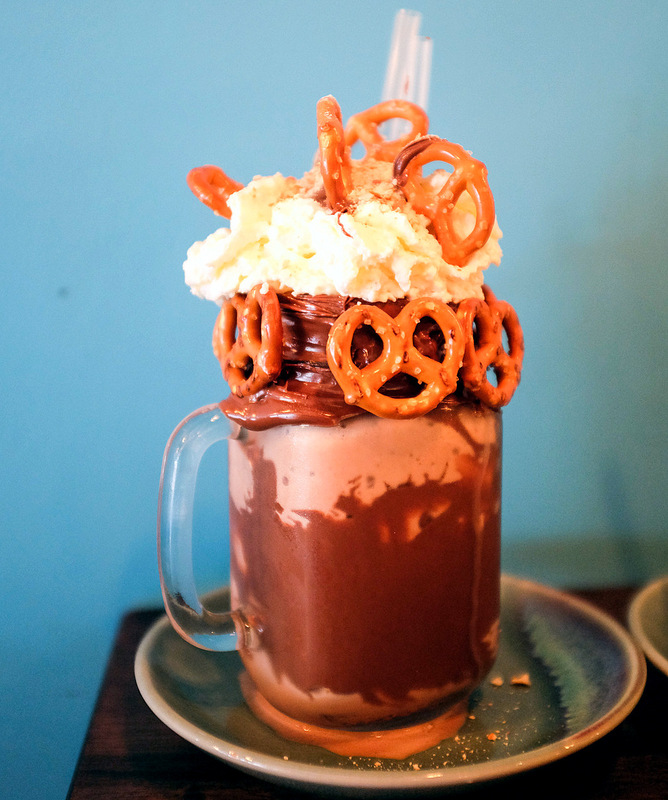 Our favourite by a country mile is the Pretzella, a behemoth of a Nutella milkshake, draped with lashings of Nutella & Nutella-dunked pretzels, crowned with salty crushed pretzels & whipped vanilla mousse. 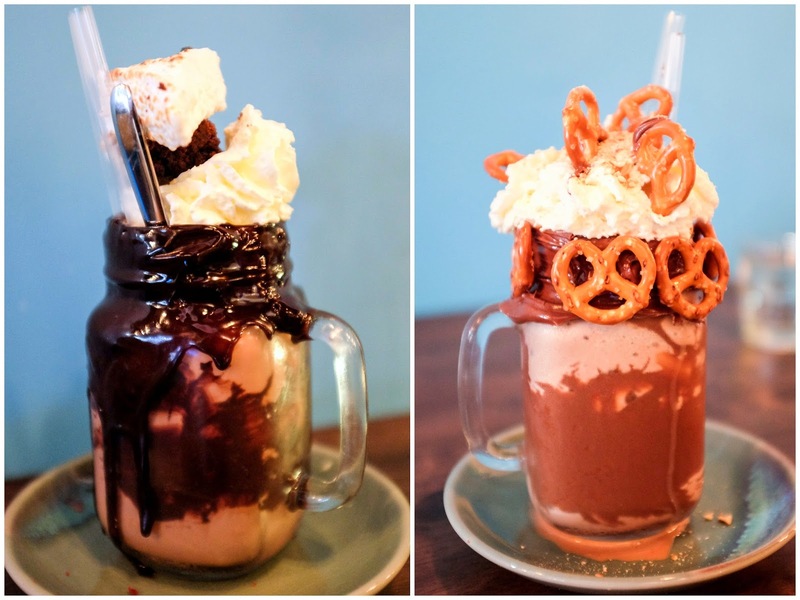 If you adore milkshakes & you worship Nutella, this one's irresistible. 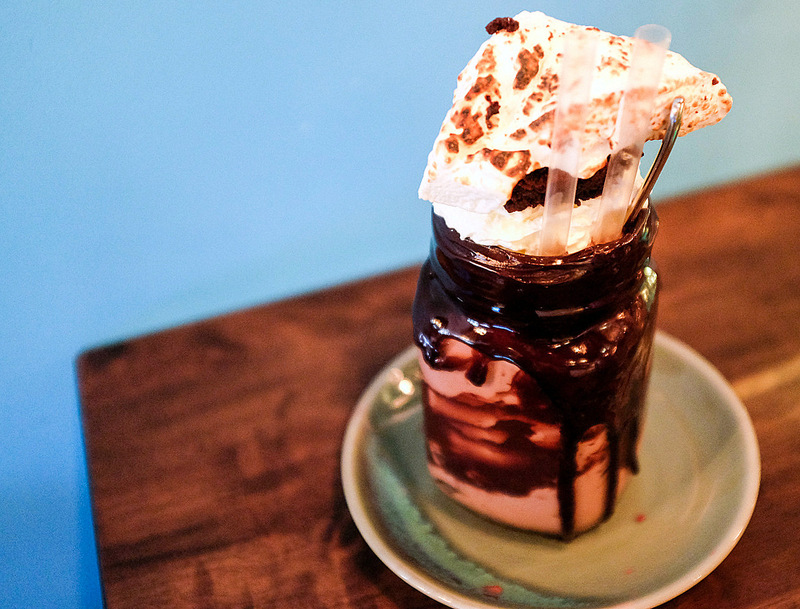 The Muddy Pat may work similarly well if you dream constantly about chocolate - it's a choc fudge shake with choc fudge lashings, a choc fudge brownie & a torched house-made marshmallow that melts in the mouth. We have mixed sentiments though about Like A Velvet, a red velvet shake with red velvet cake discs, cream cheese & raspberry gel - on the bright side, like all of Patissez's shakes, the beverage is enjoyably textured (just thick enough, pretty smooth & easy to sip) & not cloying or excessively sugary. 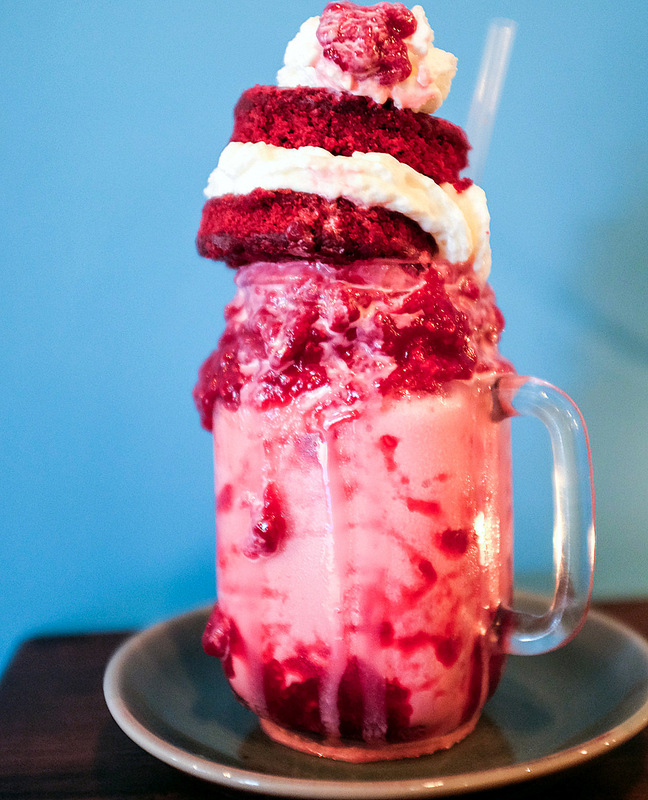 But on the other hand, this shake shines a spotlight on how artificial-tasting red velvet flavours can be; plus, the slabs of cake seem perfunctory, falling short of being a really satisfying red velvet. But we're probably hypercriticising. 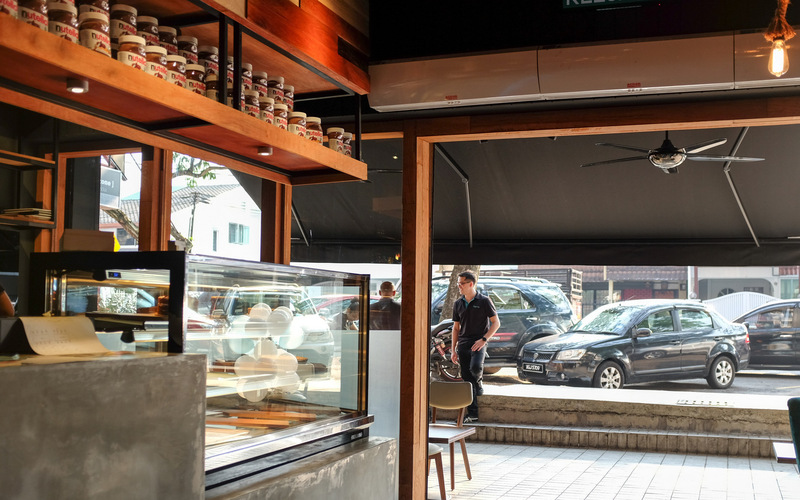 Patissez Bangsar boasts one made-in-Malaysia invention; no shocker, it's all about durian. The DurianFreak is blended with real fruit, bolstered with salted caramel & a durian semifreddo popsicle dipped in white chocolate & crunchy honeycomb. Just like the fruit, this could be a love-it-or-loathe-it proposition; the dynamics of durian are mellow but unmistakable. 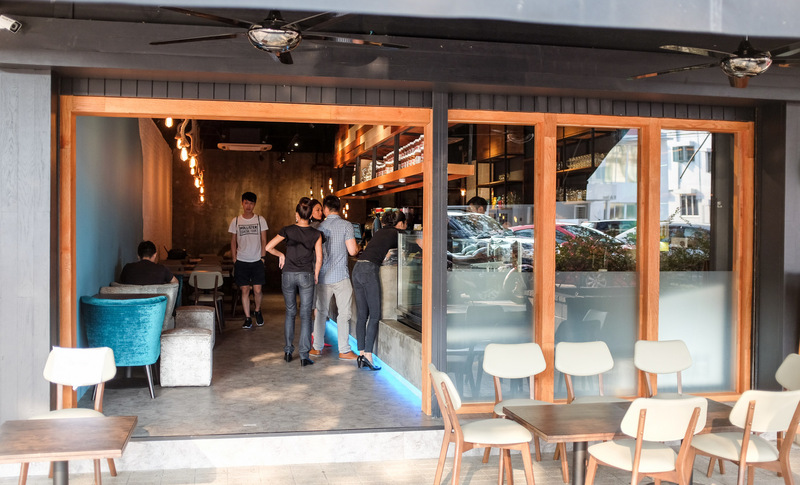 Based on these four shakes, it's certainly worth trying one if you're curious (especially since the Canberra original sometimes has a two-hour wait list for its shakes, while Bangsar is blissfully queue-free), but sharing may be prudent to ease the strain on the wallet. 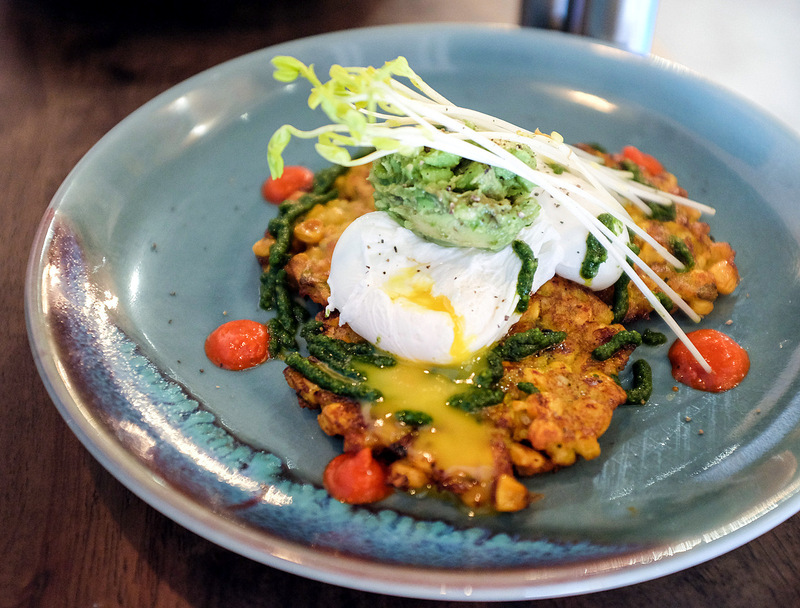 It's not solely about shakes: Patissez is a full-fledged cafe, serving the sort of Aussie all-day-brunch selection - poached eggs, pulled meat & avocados - that has seduced many Malaysians into opening their own eateries throughout KL in recent years. 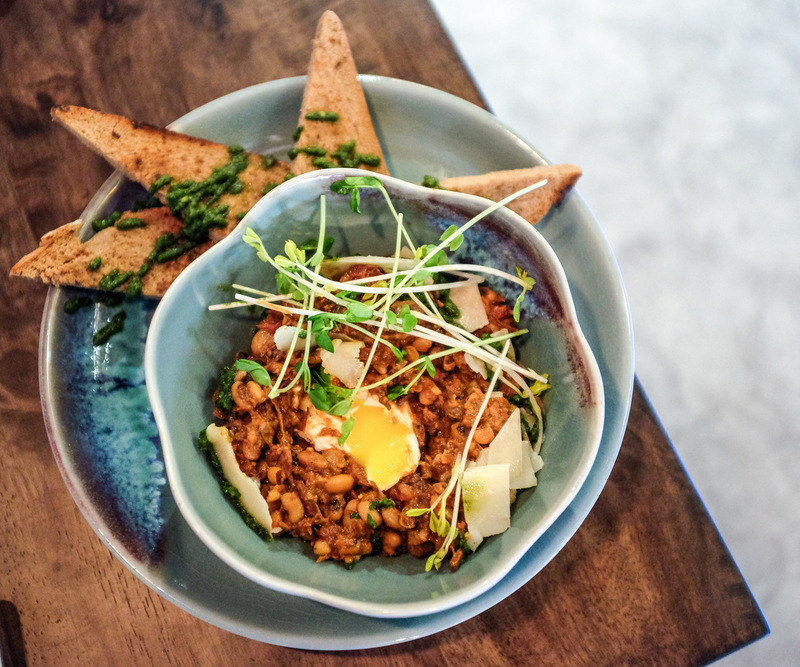 There's a sprinkling of interesting elements to Patissez's very capably executed dishes - beef cheeks with a baked egg, black-eyed beans, shaved parmigiano & sourdough slices (RM35+), toast with turkey bacon jam, 18-hour-braised shredded beef & scrambled eggs (RM29+), sweet corn & zucchini fritters with kale pesto, roasted capsicum sauce, eggs, smashed avo & confit cherry tomatoes (RM23+) & our fave, a big burger with succulent medium-rare beef patties, smoked chicken bacon, chicken bacon jam, American cheddar, house-made BBQ sauce & shoestring fries (RM38+). Service is enthusiastic & efficient. Gosh! Those milkshakes are colossal! It must be quite filling if you have one all by yourself. 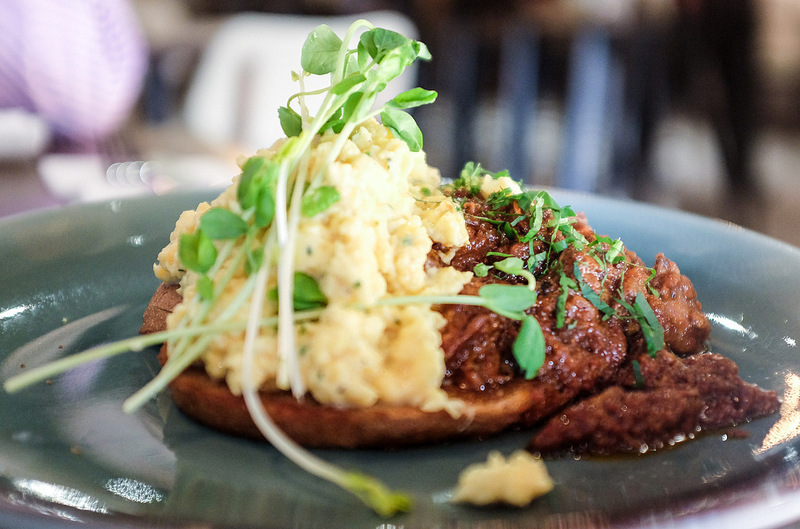 The brunch items look very attractive. durian with salted caramel, now this I gotta try. 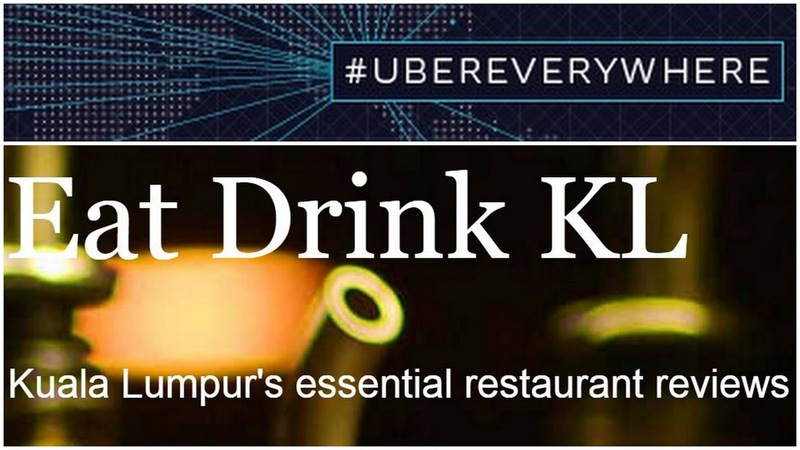 "the progenitors of the epic Freakshakes phenomenon " - oh my, I wonder why Msia then! I mean.. their shoplot is so small! 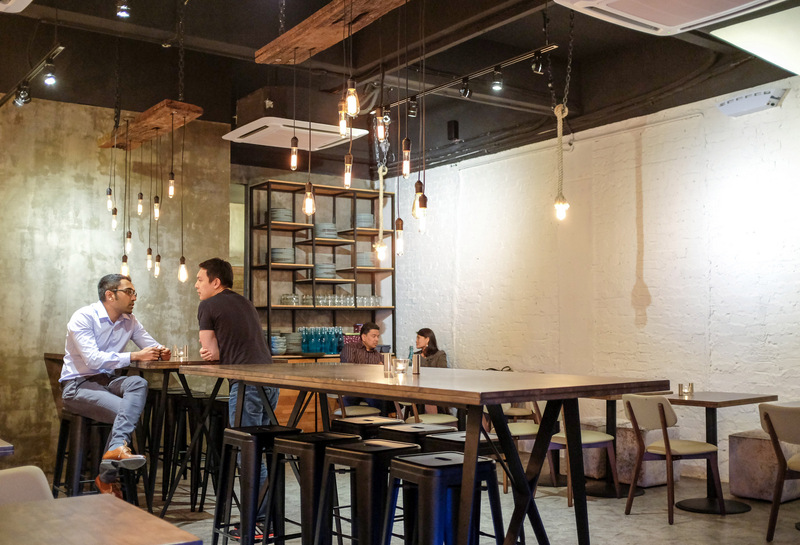 Anyhow, I walked past it many times the past week and I wasn't interested at all as I've thought it is just another cafe, you know.. also because the space is so tiny. I saw similar items at Garage 51 :) The durian one, definitely yes for me and would like to see how's both my fav ingredients (durian and salted caramel) work together! 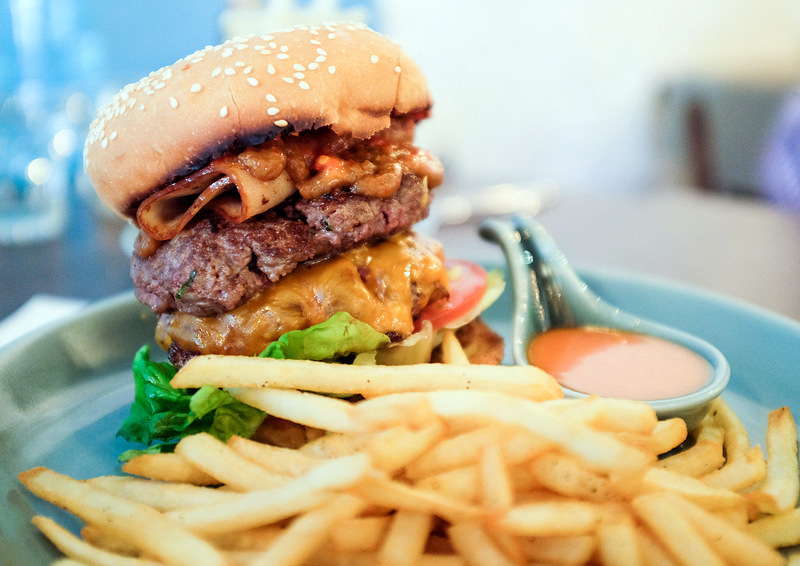 You guys know that the insulin rush from eating sugar is directly linked to higher incidence of cancer right? Look it up. 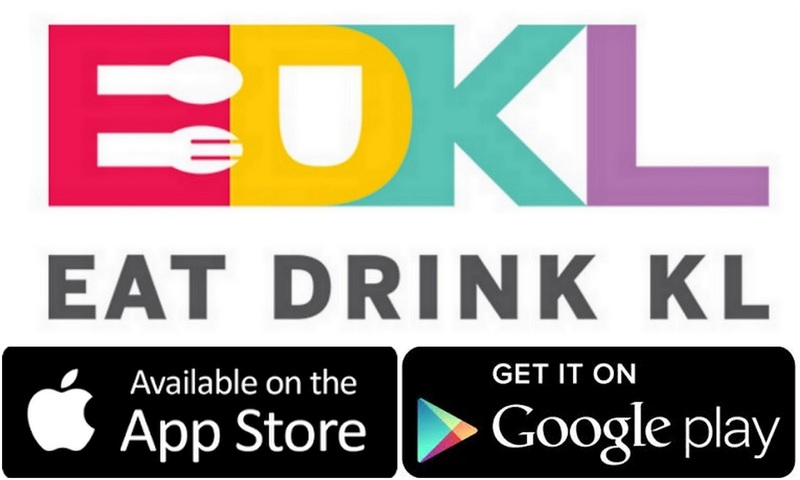 Is it Halal for Muslim to try out?